In Siddha tradition, kundalini is conceived of as the primal power or energy. 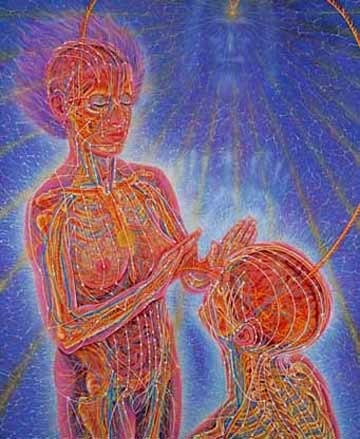 The awakening of kundalini is the prime purpose of human incarnation. Most commonly, kundalini is illustrated as a sleeping snake coiled three and a half times. 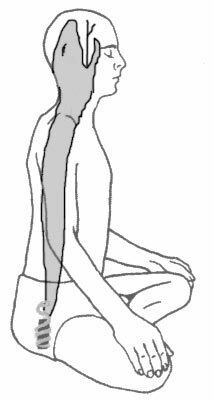 Kundalini resides in mooladhara in the form of a coiled snake and when the snake awakens it uncoils and shoots up through sushumna (the psychic passage in the centre of the spinal cord). With the awakening of kundalini, a transformation takes place in life. When kundalini wakes up, your mind changes and your priorities and attachments also change. There is even the possibility of restructuring the entire physical body. When kundalini awakens, the shaktis wakes up, the cells in the body are completely charged and a process of rejuvenation also starts. The voice changes, the smell of body changes and the hormonal secretion also change. 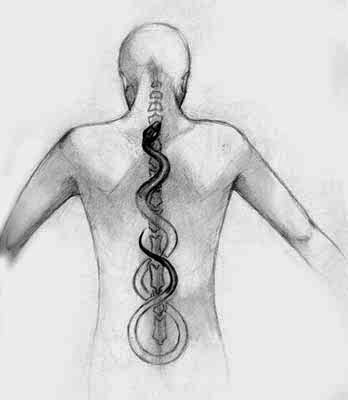 Once you can tame the uncoiled serpent, every cell of the body is charged with high voltage prana of kundalini. Now you are compensating for the laws of nature and speeding up the pace of your physical, mental and spiritual evolution. In every human being there is a divine energy called the kundalini. Anyone can awaken their Kundalini energy. However, Kundalini meditation is best practiced under the guidance of a spiritual teacher who can activate and teach the individual to control the energy (taming the serpent). Kundalini energy must be awakened slowly. Energy can have positive or negative consequences, which is why this type of meditation is best done under strict guidance. In siddha tradition Guru is one who has traveled path of Siddha yoga and further he has been bestowed the authority and ability to awaken the kundalini of other beings by dikshai. Siddha Guru primarily can initiates you in three ways, through a look (nyana dikshai), through a word(mantra) or through touch. One can meditate long, hard hours, months and years trying to reach deeper levels "within" and do hatha to awaken the kundalini or one can find a Siddha tradition guru who can do Spiritual transfer of energy (kundalini awakening). Once kundalini is awakened the seeker is expected to do consistent efforts to derive the basic benefits of the siddha yoga like self realization. Dikshai is the most effortless and blissful way to raise our spiritual frequency. A moment’s dikshai received in a mode of intense surrender can bring about more irreversible transformation in your life than years of meditation and spiritual practice. The importance of a Guru cannot be overemphasized on the spiritual journey. First, because it is extremely rare for an aspirant to be able to awaken kundalini on their own (self-awakening), and second, because after the kundalini awakening, various cleansing processes occur (kriyas and divine experiences) where the moderation of the kundalini effect by the Guru is very important. In absence of a Guru, the awakening of kundalini and the kriya events can be dramatica and sometimes damaging in cases where the recipients spiritual (or physical) body is not effectively ready for the stage. Do not believe in self-proclaimed Gurus that claim to awaken kundalini of others at price or the kundalini masters that offer paid shakti dikshai awakenings and enlightenment in days. In Siddha tradition kundalini initiation will be done without taking payments. One can only allowed to do service for the Guru in return not payment.